Let’s face it; falls are one of the natural causes of injuries and death among seniors. According to studies, about 33% of the cases of fall among the elderly are recorded every year, and this was estimated to lead to over two million visits to either healthcare center or emergency room. For example, in Canada, cases of injuries among seniors due to falls are estimated as one out of three old adults within the age range of 65 years and above. It contributed to over 73,190 hospitalizations in Canada between 2008 and 2009. With over 85% of cases of seniors’ injury-related hospitalizations, should we be watching this growing every year without finding a lasting solution or at least putting a measure that can minimize such occurrences? Based on the Public Health Agency of Canada’s claim, more than 33.33% of seniors affected by fall and hospitalized are subjected to long-term care. Luckily, the solution is here! It is high time you left your seniors at home and be rest assured they are at the safer hands. This will be unveiled later in this article. Having studied the rate at which seniors fall and the consequences aftermath, Life Assure is here to offer an effective solution to this problem. The consequences of falls cannot be overemphasized, as it results in chronic pains, hospitalization, reduced quality of life, or even increased the risk of death later in life. 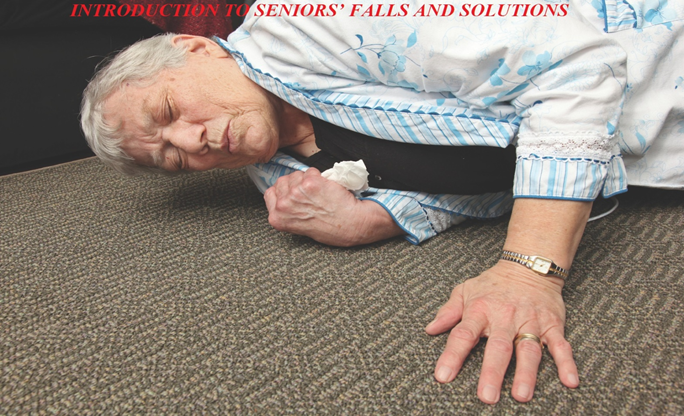 While seniors’ falls are inevitable, they can be prevented and managed to avoid the severity of fall among the elderly. What do we mean by saying this? How can this be achieved? Before we go there, let’s quickly look at common factors that cause falls among seniors. Read on, as you uncover the solution in case it happens. Your medical condition is one of the primary factors that lead to falls. Many medical conditions can cause falls, and each of these medical issues determines the seriousness of the fall. Elderly suffering from a chronic medical issue is prone to falling. Many seniors are at the risk of falling due to wrong medication (such as over-the-counter medications) which leads to dizziness or drowsiness. Some drugs do react on some older adults, and this is why it is advisable to confirm from your doctor about medications before taking them. Limitations to physical activities among the elderly can also contribute to falls. Some seniors are restricted to stay indoors throughout the day without any physical activities; hence, over time, they may suffer falls. Here, there are two different cases of physical limitation – limitation due to the physical condition and physical limitation. For instance, an older adult who loses a limb due to an accident may be limited in activities, and this contributes to risk of a fall. On the other hand, some seniors are not allowed by their children to involve in physical activities, keep them indoor, thinking are too old do any work and this increases their risk of falls over time. Poor health conditions are other contributory factors to a fall among older adults. Seniors suffering from poor vision may be subjected to falls periodically. Also, the elderly with weak limbs, foot pain and joints due to old age will have poor mobility, and they are prone to the risk of fall. There are also other natural or caused health issues that may lead to a fall among older adults. Some home set-up may pose a threat of falling to seniors. If your home environment creates falling hazards, there is a tendency it poses a risk of falling to those who are not agile as in the case of older adults. A home equipped with an obstacle on the way or a cluttered home can cause anyone (especially the elderly with poor vision) a fall irrespective of their health conditions. Also, temporary environment such as inclement weather resulting from environmental conditions like rainstorm may subject elderly adult to a fall. There is an increased risk of falls among older adults in the presence of poor lighting in the home. Seniors suffer poor vision as they age; hence, they require adequate illumination around them to prevent avoidable falls. Apart from the elderly, poor lighting is not good for everyone. Also, too much lighting can lead to woozy or light-headed in seniors. Space or a room that is too bright or equipped with too much lighting can trigger lightheadedness and later cause loss of balance which may lead to a fall. Other factors that contribute to falls among older adults are shoes and clothing. A senior may be walking around with falling hazards if care is not taken. Putting on tight clothing or high heel shoes can cause older adults to lose balance and increase the risk of falls. If clothes are too loose, it can also cause seniors to fall when the clothes are caught up by doors, furniture, or windows. Having known the factors that cause falls among seniors, it is essential to take preventive measure to avoid or reduce the risk of a fall in your home. “Prevention is better than cure” goes the saying. The truth is that falls among older adult is unavoidable, but a system can be put in place to minimize and handle any potential case of fall. This leads us to discuss how to actively reduce the chances of a fall and also proffer solution to rescue such case in case it happens. Treat every health issues and ensure frequent medical checkups. Address any suspected medical conditions and always seek the advice of your medical doctor. Improve the physical fitness of the seniors to enjoy stronger bones, muscles, and other body parts to prevent a fall. Modify your environment to enhance free movement and tackle any possible weather condition. Remove any obstacles that may cause slipping or tripping. Ensure that the staircases are equipped with lights and handrails. Install tub and shower with grab bars around toilets and bathrooms. Avoid tight clothes, unsafe shoes, and loose clothing that may subject you to a fall. Improve the lighting of your home and avoid too bright illumination. Get Life Assure system: This is the last and must have in the home or mobile to handle the cases of seniors’ falls and this will be discussed in-depth for more understanding. Prevention is good but only aims to minimize the rate at which falls occur. Since falls are sometimes natural and unavoidable among the seniors due to their age, there is need to prepare yourself or your loved ones in case it happen in the absent of people. Many at times, seniors are left alone in the home, and if they accidentally fall, there is no means of getting help from people. Fortunately, Life Assure Medical Alert Unit is a help when there is no help. Push Button for Help: Life Assure system is a water resistant pendant that can be worn on the wrist or as a necklace. The unit comes with a wireless signal and a “push button” that can be pressed to send a signal to your Life Assure Medical Alert station. One of the monitoring stations is then alerted, and a helping voice is put online to ensure you are okay and safe in your condition. Note: Life Assure has thousands of monitoring station across Canada and other neighboring countries. Speak to an Operator: Immediately the “push button” is pressed, one of the experienced professionals will be available to help you within a few seconds. This trained representative comes online through Life Assure Medical Alert unit to assess your condition and make sure you are perfectly ok. In the case you cannot speak with your condition, or you are not audible enough to explain your condition to the representative, another help will be immediately triggered for you. Help is on the way: In a twinkle of an eye, help is already at your doorstep. Luckily, Life Assure Medical Alert unit is equipped with a sensitive microphone that can help to hear you wherever you are in your room or any corner of your home; hence, seniors can communicate with our representative regardless of how tiny your voice is. Life Assure Medical Alert unit is here to save lives especially that of the older adults or anyone that may need help in an emergency. Every senior deserves to live even in their old age. Don’t allow yourself or your seniors to be caught in an emergency without the help they deserve. A push on the button of Life Assure Medical Alert unit could save your life or your loved ones! Stay tuned for more informative posts from this page! What is your experience with seniors’ fall? Share it with us. 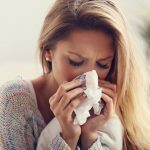 Do MTHFR Mutations Come With Any Pregnancy Complications?